After patiently waiting for the last 24 hours, D-backs fans can exhale — the three-way trade with the New York Yankees and Detroit Tigers is complete. The D-backs receive right-handed pitcher Edwin Jackson from the Detroit Tigers, and right-handed pitcher Ian Kennedy from the Yankees. The Tigers receive D-backs pitchers Max Scherzer and Daniel Schlereth, along with Yankees pitcher Phil Coke and outfield prospect Austin Jackson. The Yankees receive outfielder Curtis Granderson. Jackson threw a shutout inning in the All-Star Game this past season. In fact, 2009 seemed to be a real coming-out party for the one-time Dodgers super prospect. In 2003, Jackson made his Major League debut on his 20th birthday at Chase Field against Randy Johnson and the D-backs. He threw six innings that day, allowing one run and four hits en route to a 4-1 win. — He had a stretch of 16 starts in 2009 (May 9 to Aug. 5) when he allowed three or fewer earned runs each start, posting a 7-3 record with a 2.46 ERA in that span. He was only the third Tiger (along with Mickey Lolich and Jack Morris) to have such a streak in the last 50 years. — He finished seventh in the American League in ERA (3.62) and adjusted ERA (127) in 2009. — In 2009, held opponents to a .247 average with a .310 opponents’ on-base percentage. — He raised his strikeout-to-walk ratio from 1.4 in 2008 to 2.3 in 2009. Here’s a Q&A with Jackson by Baseball Prospectus’ David Laurila. 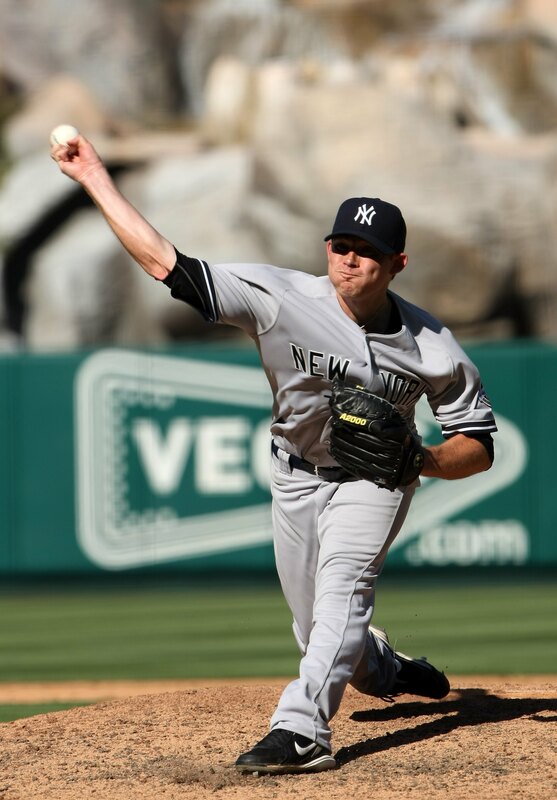 As for Kennedy, the 2006 first-round pick of the Yankees was the Pac-10 Pitcher of the Year as a member of the USC Trojans. He doesn’t have nearly the big league service time that Jackson has (only 59 2/3 innings for the Yankees in parts of the last three seasons) but he’s been fantastic in his minor league career. In 46 minor league games (248 2/3 innings), Kennedy posted a 19-6 record with a 1.95 ERA, with 273 strikeouts and just 77 walks. He missed the 2009 season because he needed an aneurysm removed from his right armpit, but he returned to pitch in the Arizona Fall League, and was able to show that he was healthy. He made seven starts and put up a 4.25 ERA, with 28 strikeouts and five walks in 29 2/3 innings. Kevin Goldstein of Baseball Prospectus noted that Kennedy, “looked sharp after missing most of the year following surgery” in the AFL this season. Here’s a New York Times feature on Kennedy from 2008 Spring Training.